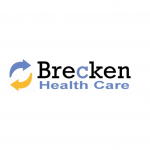 At Brecken Health Care Busselton we are dedicated to providing comprehensive, quality medical services in an efficient and caring environment. Our practice is committed to promoting wellness and disease prevention to all patients. We do not discriminate in the provision of excellent care and aim to treat all patients with due respect and dignity. Our doctors cover a wide range of interests including , Worker’s Compensation, Gerontology; including palliative care and dementia, Anaesthetics, Childrens Health, Mental Health issues, Aging, Exercise and Nutritional and Surgery.